On Wings of Eagles: When You Think Nobody is Listening. 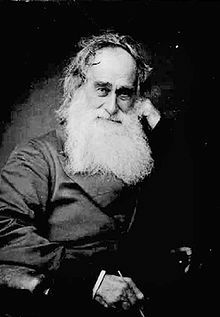 When Robert Moffat, Scottish missionary to South Africa, came home to recruit helpers in his homeland, he was greeted by the fury of a cold British winter. Arriving at the church where he was to speak, he noted that only a small group had braved the elements to hear his appeal. What disturbed him even more was that there were only ladies in attendance that night, for he had chosen as his text, "Unto you, O men, I call" (Proverbs 8:4). When he gave his appeal that night, nobody answered the call or volunteered for missionary service. But what Moffat almost didn't see was a small boy in the loft who had come to work the bellows of the organ and he was greatly challenged by the message. Deciding that he would follow in the footsteps of this pioneer missionary, he went on to school, obtained a degree in medicine, and then spent the rest of his life ministering to the unreached tribes of Africa. His name? David Livingstone! Dear Lord we pray today that we would not to become discouraged when we see little or no results, but that we would keep faithfully serving You no matter what. In Jesus' name. Amen.